There is a Troop Meeting Thursday (12/13/2012) where we will be having SPL elections. If you cannot make the meeting, let Matthew or Mitch know what job you would like to hold and include a statement of interest (why you want it, what you intend to accomplish, etc…keep it short). 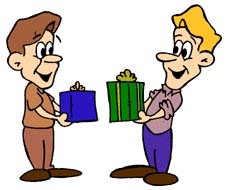 Gift Exchange: Bring a wrapped gift up to $10 value (Scouting related) to the meeting and exchange for another. Bring a gift and you get a gift, adults and sibs included. Also, bring cookies or a treat to share at the end of the meeting. Summer Camp for next year is at Camp Merriwether July 21-27, 2013. Fee for the camp is $284. We are taking $25 deposits now. You can RSVP on the Troop Website. The payment schedule is listed there. Bring your $25 to the meeting and give it to Mike (the Treasurer)!